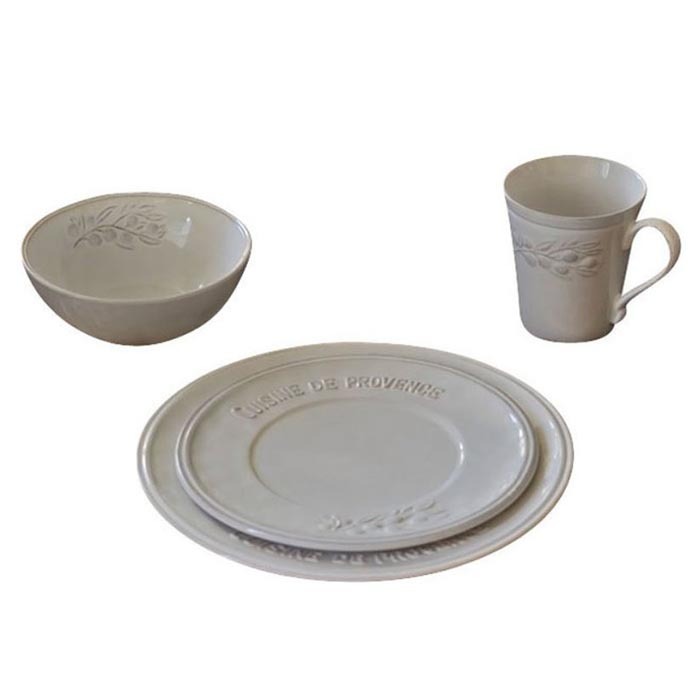 Cuisine de Provence Dinnerware Set. 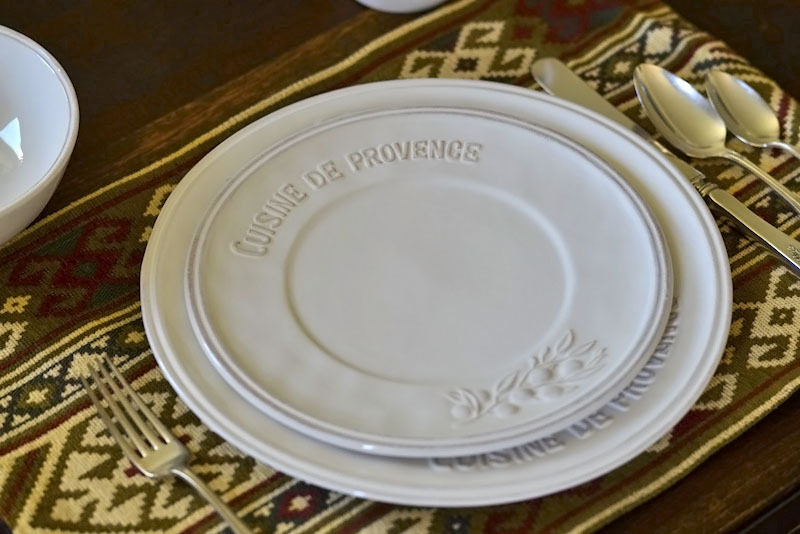 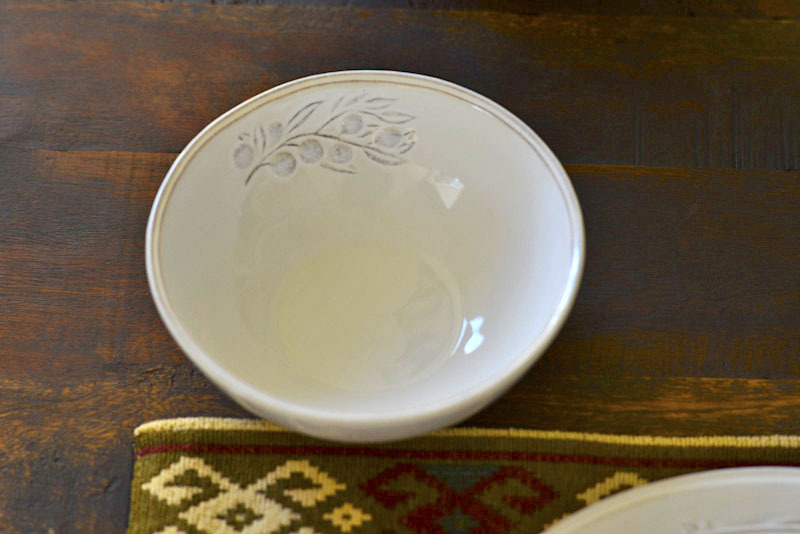 Add elegant French style to your table with this porcelain Cuisine De Provence Dinnerware Set. 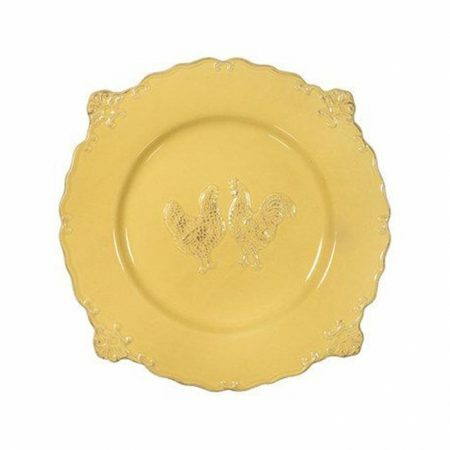 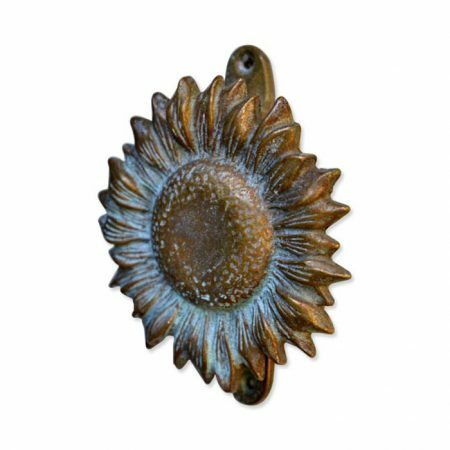 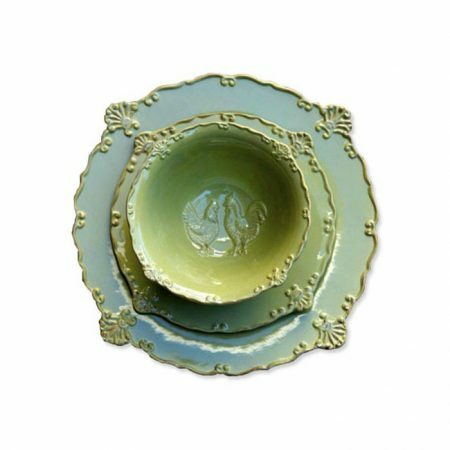 The embossed cascading olive branch and French script sets the stage for all your favorite meals.